Various Ketovangelist authors have written multiple times about the fact that we are all different and our needs aren’t identical. I’ve talked extensively about how every person’s body is completely individual, the fabulous Rekka Jay has discussed the importance of learning enough about how the science behind keto works so you aren’t focused exclusively on a set of rules, and I’ve said over and over and over again that keto is not magic. It’s just not. So, it’s a bit frustrating to have to address this once again. Frustrating, but necessary. Person A: Check out my awesome progress pics! Persons B, C, D, ad infinitum: OMG, what are your macros?!?!?! This happens pretty much every day. I’m not trying to make fun of anyone here. I understand completely that we all want keto to work for us, and we are all in the process of tweaking what we’re doing to hit our own sweet spot. Person A is not you. Person A is not me. Person A is not your great-grandma’s neighbor’s fourth cousin, twice removed. Person A is Person A.
I’m a 37 year old woman. I’m 5’4″ tall and very small framed. Until last May-ish, I didn’t exercise at all. I do now, and my activity of choice is running about 3 miles, three days per week. I usually walk or bike for about an hour on off days. Pre-keto, I was experiencing some symptoms that certainly looked like some kind of pre-diabetes (possibly even full blown), my blood pressure was borderline and problematic during my first pregnancy, and I had a scary brush with gestational diabetes during my second pregnancy (didn’t have it, but exhibited some symptoms). However, I had no official diagnosis for any of these issues. My fantastic friend, Coach Mary, is in her 40’s, and is several inches taller than me, around 5’6″ (beg pardon if I’ve misremembered). She is of average build, is in the gym lifting heavy weights on most days of the week, and has done so from very early on in her journey. Pre-keto, Mary was diagnosed with Type II diabetes and was on medications to treat the disease. Mary and I are obviously two completely different people, physically. We have both been wildly successful at the keto lifestyle, but I’m here to tell you our macros are wildly different. Let’s look at just one macronutrient: Protein. One would expect that Mary should be able to eat more protein than I do. She’s taller by at least two inches, of average build, and she’s constantly in the gym lifting heavy things. Whereas I’m shorter, smaller framed, and my form of exercise (cardiovascular) doesn’t usually require tons and tons of protein. Mary tends to keep her protein in the 50-60 gram per day range. She has done some pretty extensive testing, and has noticed a significant rise is blood sugar, amongst other noticeable physical symptoms, if she strays too far outside of that range. Even though she is doing pretty extensive weight training on a very regular basis, Mary still cannot stray from this range without a negative bodily reaction. I keep my protein intake around 75 g per day, and it works quite well for me. In fact, as I’ve discussed before, I recently had to tweak my protein macros up to that point because my previous range (about 55-65 g a day) wasn’t cutting it with my newly discovered love of running. When I was eating less protein, I was ravenously hungry. Once I increased it to closer to the top of my range, the hunger stopped, and not only did I begin thriving, my performance levels increased by leaps and bounds! So, what’s the difference here? The bottom line is that Mary is a different person. Not only is she physically built differently than I am, and chooses to exercise differently, she also has a history of diabetes and medications to treat it. She is healing very severe insulin resistance. I, on the other hand, may be smaller overall, but I was never diagnosed with or medicated for any specific illness, and I suspect that my insulin sensitivity is much greater than Mary’s. I’ve pretty much always been able to eat more protein than she can, to no ill effects. Whereas, the entire time Mary has been keto, she’s had to be vigilant about how much meat she eats because if she goes overboard there are negative consequences for her body. We are two different people, with two very different bodies and different macronutrient needs. 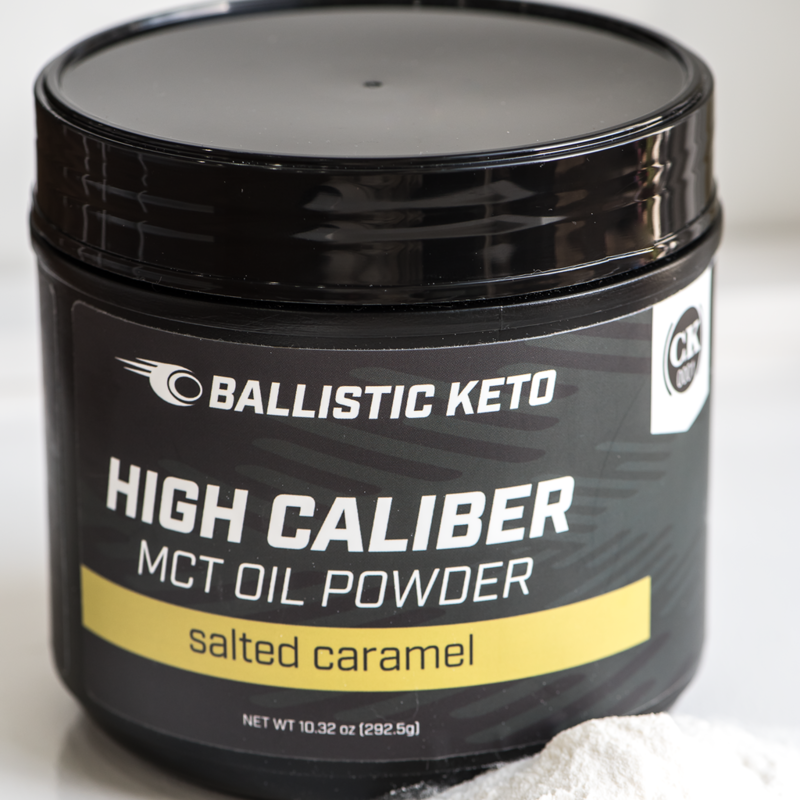 By examining our different intakes and tolerance levels for this one macronutrient you should be able to see that what works really well for one person, another person is held back or even physically suffers when they try the same thing. This goes for all the other macronutrients, too. For example, I’ve pretty much always counted “net” carbs on whole foods (like vegetables or avocado) and only mess with total when it comes to packaged goods. Mary can’t do that. She has to count every single carb on every single food, or else she has blood sugar troubles. Etc, and so on. The important thing to take away from this discussion is that no two people are identical, and so asking someone else what his or her macros are with the intent to emulate their success by copying their intake is folly. What works for Mary doesn’t work for me and vice versa. What works for the man or woman with the insanely dramatic before-and-after pics won’t necessarily work for you. So, the next time you see a great transformation and are tempted to find out what their magic macro formula is, remember there is no magic macro formula! You have to find what works for your own body, and yes, that means you might have to do some experimentation to figure that out. That is all OK. Your body and your journey are your own. No matter if you turn out to be the tortoise or the hare, what matters is that you finish the Ketogenic race in your own time, and in the way that is going to most benefit you.